“The Hernic project continues to perform well. The increase in PGM ounces produced had a significant impact on the earnings soaring by more than 40 %. This jump in earnings reflects the low variable cost base for the project per PGM ounce produced. The lower feed supplies which hampered production in June has been overcome and the project is poised to break through 6 000 ounces per quarter. 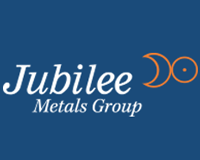 Jubilee Metals Group PLC (LON:JBL) announced today its quarterly operations update for Q2 2018. The Hernic operation performed well during Q2 2018 continuing to deliver increased PGM ounces at 5 800 PGM ounces delivered resembling an increase of 18 % quarter on quarter. Project earnings increased by 41 % quarter on quarter which reflects the low variable cost base per PGM ounce produced of the project. Q2 included a record production of 2100 PGM ounces in a single month. We expect to further increase this production rate in line with the increase in reclaimed surface material delivered by Hernic. The construction of the fine chrome recovery project is currently underway at DCM. The project targets to commission the new expanded fine chrome recovery circuit during Q4 2018. During this period we also increased our investment into the upgrade of the existing DCM chrome beneficiation plant as reflected in the financial numbers below. We are targeting to complete the fines chrome recovery plant during Q4 2018 which holds the potential to dramatically enhance the production of chrome at DCM. Chrome production at DCM is expected to remain at current levels during the construction of the fine chrome recovery plant with the existing DCM material containing mostly fine chrome and enriched PGMs. Jubilee continues to have positive engagements with the Department of Mineral Resources to accelerate the approvals required to conclude the construction of the PGM recovery plant. Jubilee commenced delivering PGM material from its PlatCro project to Northam Platinum’s Eland Platinum operation in June with 31 000 tonnes of material delivered during June. Jubilee has commenced with the expansion of the material sorting and de-watering plant at PlatCro to support the targeted ramp-up of material delivery to 50 000 tonnes per month. The target is to build a stockpile in excess of 200 000 tonnes of PGM rich material at the Eland Platinum concentrator prior to commencing platinum recovery in February 2019. As announced previously the initial construction focus of the Kabwe project is on the zinc primary leach recovery circuit. The enhanced process flow sheet for the Kabwe project includes a separated zinc and lead recovery circuit which significantly improves the flexibility of the metals recovery plant. This allows the project team to independently execute the zinc and lead metals recovery strategy. The decision was taken to commence with the construction of the zinc recovery circuit ahead of concluding the final design for the lead recovery circuit which is under design review. The circuit design review and optimisation test work includes work to determine the commercially optimal product purity specifications. This enhanced process flowsheet has been presented to the Zambian department of mines who welcomed the significant progress made towards executing the Kabwe project. 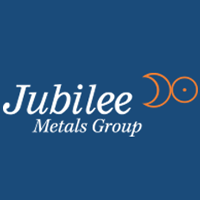 Jubilee Metals Group PLC to conclude the final design parameters for the project during Q3 of 2018.